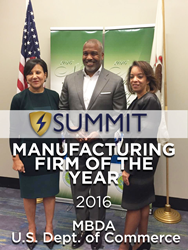 Summit Container Corporation won the National Manufacturing Firm of the Year award from the U.S. Department of Commerce’s Minority Business Development Agency (MBDA) during the recent 2016 Minority Enterprise Development Week and National Minority Supplier Development Council National Convention. Summit Container Corporation (Summit), an award-winning manufacturer and designer of protective packaging, contract packaging, packaging supplies and fulfillment solutions, headquartered in Monument, CO, has been named the National Manufacturing Company of the Year by the U.S. Department of Commerce’s MBDA. The awards announcing the U.S. Department of Commerce winners were recently held in Chicago at the 2016 National Minority Supplier Development Council National Convention and Minority Enterprise Development Week. 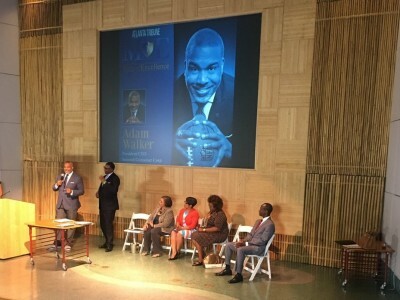 Summit Container was recognized by the MBDA along other organizations, businesses, and individuals who have demonstrated leadership, commitment and excellence in advancing the minority business community. Founded in 1984, Summit Container Corporation, an award-winning design and manufacturing company, specializes in Protective Packaging, Secondary Contract Packaging and Packaging Supplies. With a vision, “to be the most admired global supply chain solutions partner”, Summit Container provides its customers with the highest quality and the most innovative products. 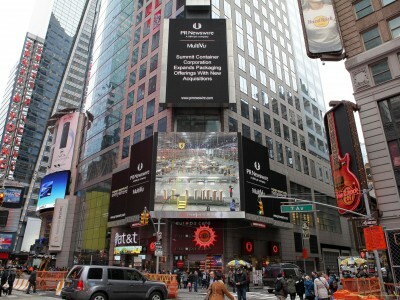 The company is ISO 9001:2008 certified to Design and Manufacture Custom Protective and ESD Corrugated Packaging. Summit is a member of the Forestry Stewardship Council and a Corporate Plus Member of the National Minority Supplier Development Council.